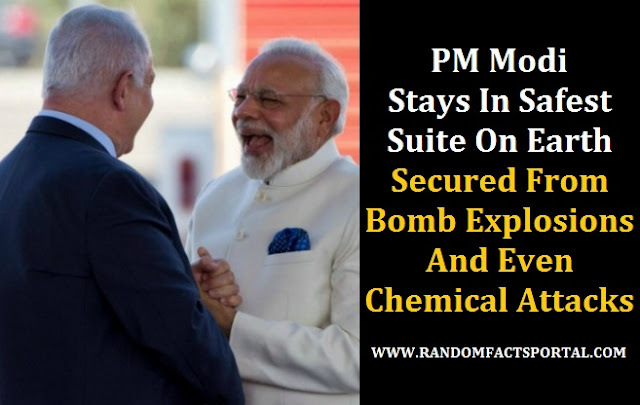 After Prime Minister Narendra Modi got a ceremonial welcome in Israel by PM Benjamin Netanyahu, his stay in Israel has become even more exciting as PM Modi has been kept in the most secure suite on the entire planet. 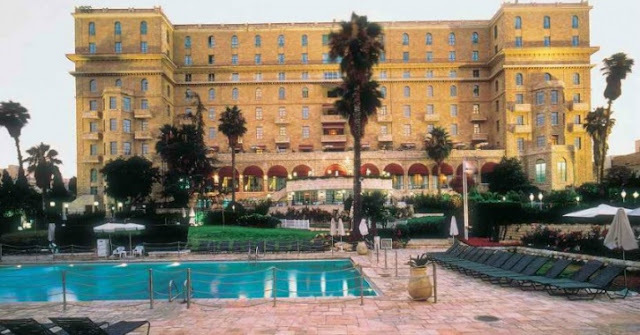 "His suite is secured against bomb attacks, chemical attacks, everything," Sheldon Ritz , the director of operations in King David Hotel told. He is also the incharge of PM’s entire visit. "If the entire hotel is bombed, PM's suite will be untouched, will come down in a pod." Rits explained that they had to clear out 110 rooms to accommodate Indian PM and his delegation. "We have hosted every US president in this century, from Clinton, Bush, Obama and, three weeks ago, Trump. And now we are hosting Mr Modi." The hotel has also kept PM’s vegan food habits and made sure the cookies in his suite are eggless and sugarless. Even the flowers are of Indian delegation’s choice. The PM’s suite has a separate kitchen in case he asks for something other than the food timings. "I believe he is eating Gujarati food," Sheldon Ritz said. "We got a list of food ingredients necessary to cook Indian food for the Prime Minister. The ingredients are all kosher, because in this hotel all food has to be kosher." They got almost all the stuff except just a few items which were probably not kosher.